At 6, he saw a preacher shot dead right in front of him. At 16, he was forced to join the Honduran army, where a lieutenant harassed and assaulted him. In 2002, he fled to the United States. His brother was killed back home 12 years later. Now 37, Jose has lived in America for 15 years, most recently in the Atlanta area. 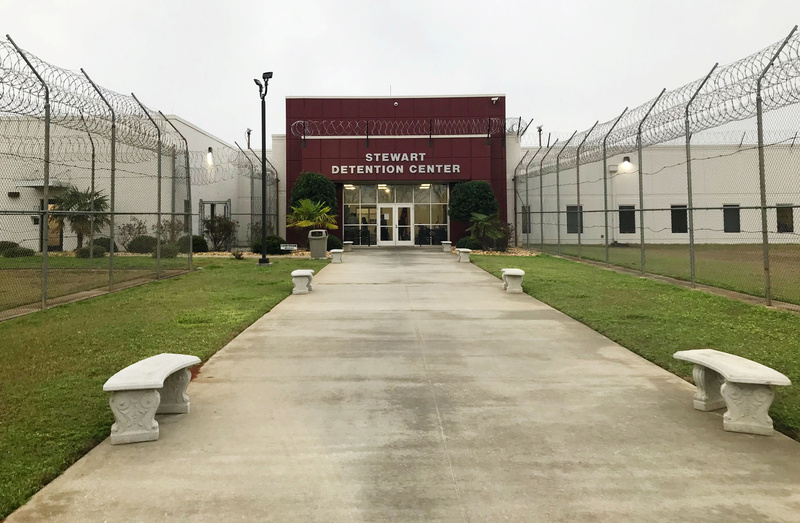 After more than a year, SPLC's Southeast Immigrant Freedom Initiative has represented more than 200 people seeking release from detention, like Stewart Detention Center pictured above, and has obtained the release of over 100. Jose is one of the many thousands of people who’ve been swept up in Trump’s dragnet. They’re often devoted members of their community – people like Teresa Olea Agaton, a grandmother with six children who are U.S. citizens. She had lived in a small Georgia town for 25 years. But after she was pulled over in a traffic stop like Jose, and was locked up in an immigrant prison for nearly a year, she was deported. The stay of removal that the SPLC sought on her behalf was denied. While the nation has been outraged in recent weeks over the treatment of children at the border, the reality is that similar tragedies are playing out every day across America. Longtime residents are being ripped from their families and shipped off to remote prisons, where they have little hope of prevailing in a legal system stacked against them. Teresa Olea Agaton (top row, second from left), a grandmother of six children who are U.S. citizens, lived in a small Georgia town for 25 years before being detained and ultimately deported. To ensure their due process rights are protected, the SPLC launched the Southeast Immigrant Freedom Initiative (SIFI) in early 2017. Its goal is to provide free legal representation to as many detained immigrants as possible in the Southeast. After more than a year, SIFI has represented more than 200 people seeking release from detention and has obtained the release of over 100. It has also won asylum for four of its clients, and lawful permanent resident status for another. The project now has offices at five of the largest detention centers in the Southeast, with 19 full-time staffers, and is supporting pro bono lawyers at six other facilities. 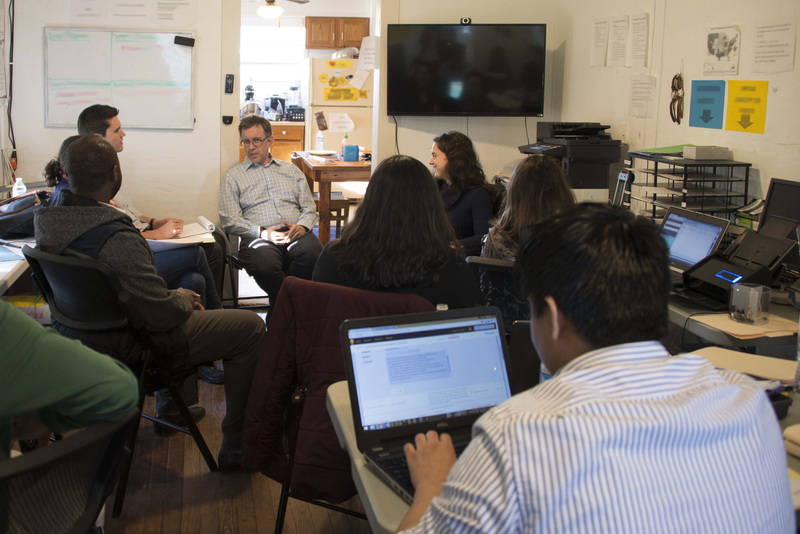 More than 600 lawyers, law students and interpreters have volunteered their time, many spending time at the detention centers and others assisting remotely. But the numbers tell only part of the story. 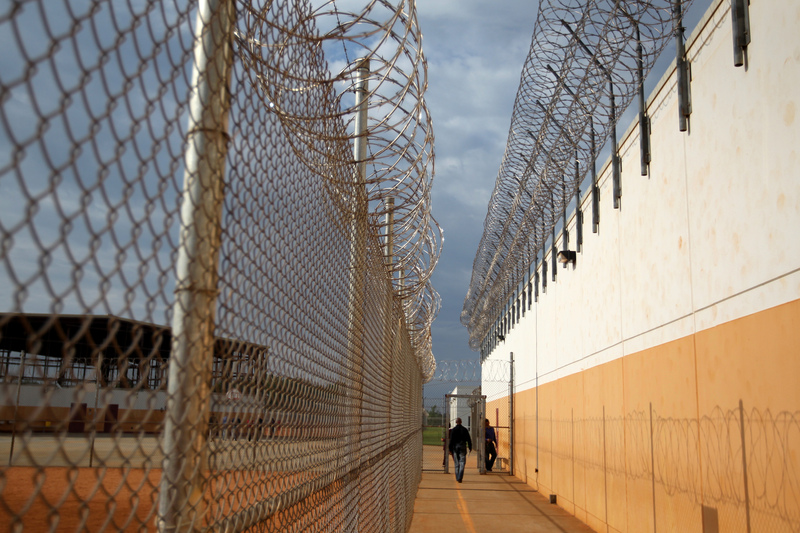 The SPLC’s work is opening a window into the shadowy world of immigration prisons in the South and exposing the abuses resulting from the Trump administration’s harsh anti-immigrant policies. The work has so far resulted in two major SPLC lawsuits – one against the Trump administration and another against the operator of a for-profit prison in Georgia. The ugly xenophobia of Trump’s campaign, which he kicked off with a speech calling Mexican immigrants “rapists” in June 2015, was simply a preview of things to come. Trump not only stacked his administration with immigration hardliners, some with ties to far-right extremist groups, he removed all constraints from U.S. Immigration and Customs Enforcement (ICE). More recently, he has referred to immigrants as “animals” that “infest” our country; dehumanizing language reminiscent of the kind used during the Holocaust and the Rwandan genocide, which are among the world’s most terrible and frightening examples of political and ethnic violence. Gone is any pretense of an orderly immigration policy consistent with our nation’s fundamental values of fairness and the rule of law. Most of those now detained were simply easy targets for ICE, a way for the Trump administration to win political points with the most radical people in his base. At the same time, the U.S. Department of Homeland Security (DHS) has become, essentially, part of the nation’s mass incarceration system. An average of 35,000 people every day – and some 350,000 a year – are held in a sprawling web of immigration prisons across the country. And this web is expanding. Just last week, ICE announced that the Folkston ICE Processing Center in south Georgia, where SIFI has an office, will add 300 new beds. In the midst of this crackdown, private prison companies have seen their revenues and stock prices soar. At the Stewart Detention Center in Lumpkin, Georgia, the SPLC discovered that immigrants are forced to work for, in some cases, as little as a dollar a day under an exploitative scheme that boosts the company’s profits by letting it avoid hiring local workers to staff the facility. The detainees use their meager earnings to purchase basic necessities from CoreCivic’s commissary. Stewart Detention Center in Lumpkin, Georgia is run by the private CoreCivic group. “When I arrived at Stewart I was faced with an impossible choice – either work for a few cents an hour or live without basic things like soap, shampoo, deodorant and food,” said Wilhen Hill Barrientos, an asylum seeker from Guatemala. Since Stewart has no paid kitchen staff, Barrientos is often required to work seven days a week, even when he is sick. Once, he was sent to medical segregation for two months after he filed a grievance for being forced to work while he was sick. In April, the SPLC filed a class action suit against CoreCivic, alleging that the private prison company that runs the prison is operating a forced labor scheme in violation of the Trafficking Victims Protection Act. The U.S. Constitution guarantees people in deportation proceedings the right to a lawyer at their own expense, and a full and fair hearing. And, in fact, many detainees are eligible for release on bond or their own recognizance. Many also have compelling claims, such as asylum, for relief from deportation. But the vast majority of them – particularly in the Deep South – lack legal representation. They can’t afford it, and they’re imprisoned in remote areas where lawyers simply aren’t available. Without access to legal counsel, their due process rights are frequently trampled – and they’re unlikely to win their cases, even when the law is on their side. 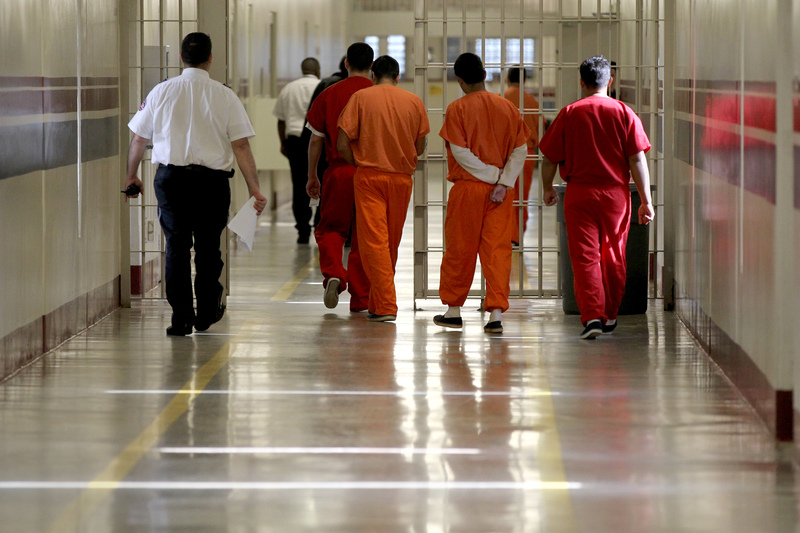 Despite the fact that the U.S. Constitution guarantees people in deportation proceedings the right to a lawyer at their own expense, the vast majority of detainees lack legal representation. SIFI was created to defend their rights. But SIFI lawyers quickly discovered that detention centers were operating in ways that essentially blocked immigrants’ rights to counsel. For example, the LaSalle Detention Center in Jena, Louisiana, had only one attorney-client visitation room for up to 1,200 detainees. As a result, SPLC attorneys and volunteers were frequently forced to wait for hours to see a single client, and sometimes were blocked from seeing clients altogether. They also encountered hostile staffers at some facilities, along with other barriers. In April, the SPLC sued the Trump administration over such practices, alleging constitutional violations at three detention centers. Around the time SIFI was created, aspiring math teacher Daniela Vargas spoke to reporters at a press conference in Jackson, Mississippi, about her hope that she and other Dreamers would be allowed to stay in the country they’ve long called home. Moments later, ICE agents put the 22-year-old woman in handcuffs. She was whisked away to the isolated detention center in Jena. Daniela Vargas was detained by ICE after speaking publicly about her status as a Dreamer. 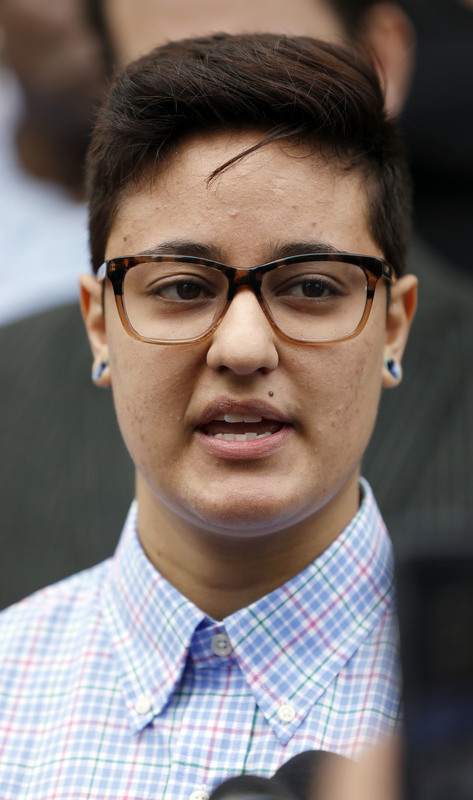 The SPLC joined other civil rights groups and private lawyers in filing a petition on Vargas’ behalf in federal court, arguing that ICE was simply retaliating against her because she had dared to speak out. A day later, she was released. In another success story, the SPLC won asylum for a transgender woman who had been beaten by members of a drug cartel, raped and tortured by Guatemalan police, and threatened by co-workers there. After turning herself in to U.S. Border Patrol in October 2016, she was held at Stewart Detention for over nine months. Because of SIFI’s intervention, she was released to live with family in Virginia. As SIFI’s work has grown in the last year, its ranks of volunteers and staffers have also increased. Since its launch, SIFI has had 392 volunteers at its detention center-based offices and another 216 who worked remotely. There are currently 19 full-time SIFI employees. All of those workers – volunteers and paid staff alike – have seen the utter despair that comes over clients in deportation proceedings. SIFI staff and volunteers in Lumpkin, Georgia meet to discuss clients at the Stewart Detention Center. 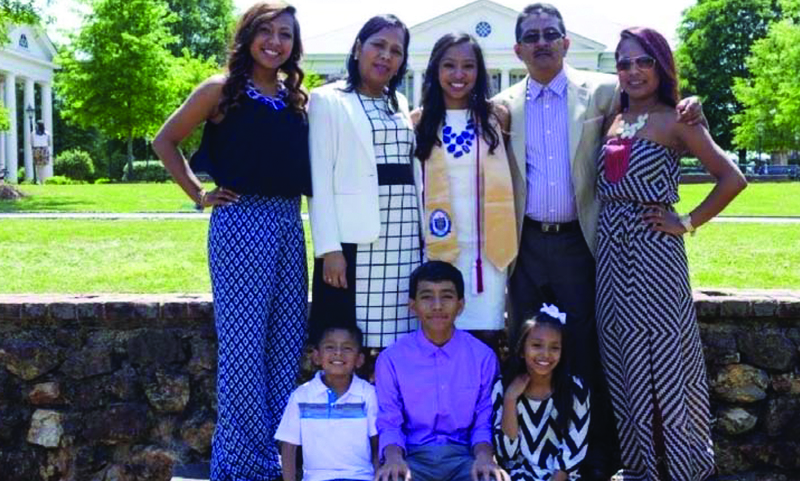 Erin Argueta, a lawyer who volunteered to help at one detention center, was so moved by the plight of detained immigrants that she moved her family from Washington, D.C., to the tiny town of Ocilla, Georgia, last January to work full-time for SIFI.